The prediction seemed sound: A shopping mall dropped in the middle of Washington would deliver street-snarling traffic to an otherwise peaceful residential neighborhood. 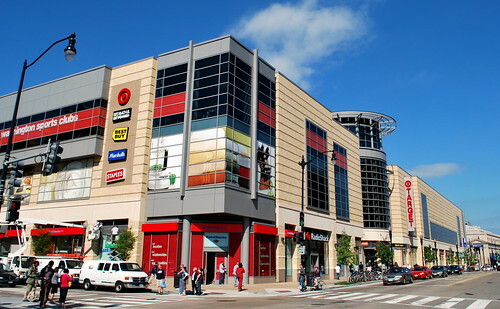 The District’s solution was to build a parking colossus, a $40 million taxpayer-funded garage beneath the Target-anchored mall in Columbia Heights. Yet, even as waves of shoppers come and go, the 1,000-space garage remains empty enough that the operator typically blocks off one of its two sprawling levels. The District has lost nearly $2 million — or $100,000 a month — since the garage opened in March 2008, numbers that make Valerie Santos groan when she considers the city’s decision to build the structure. The empty garage is part of the evidence that District officials cite as they rewrite 50-year-old regulations so they will no longer require developers to build a minimum number of parking spaces for new retail outlets, offices and apartments in areas near Metro stations. Instead, the District would like to leave it to developers to analyze market conditions and determine the appropriate parking levels. If you live in DC, find your council member and let them know it’s a good idea.